Hey, I think there’s a huge problem with js V2.5.3 and export gcode files and therefore data transfer to the printer. At least via USB stick. 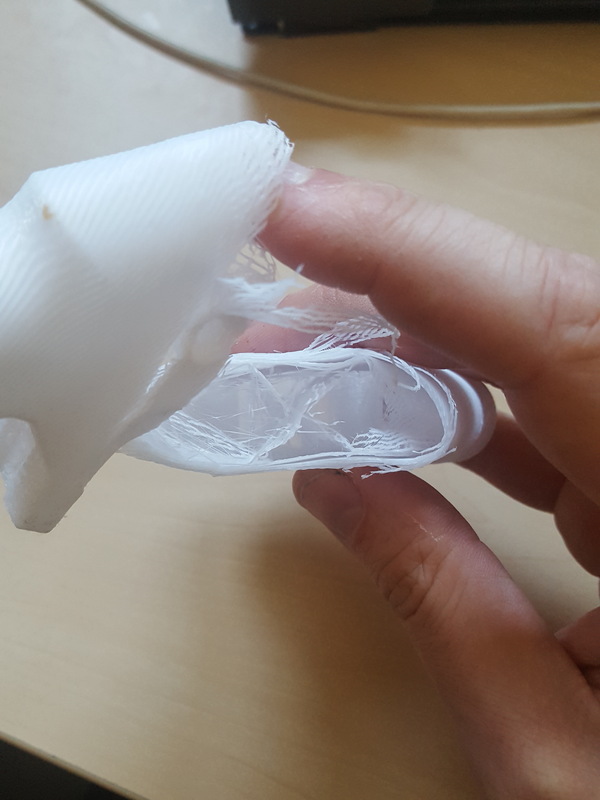 I used 2.5.3 and suddenly had adhesion problems like never before. The prints just didn’t stick anymore. Rafts did help sometimes, but before I never had to use any rafts. It’s still my same filament roll, so there was no change. I went back to V2.5.2 and printed the same item with the exact same settings (fast print). I checked every value in the advanced view. Everything is exactly the same as in V2.5.3. As of right now I printed a lot more stuff with V2.5.2 and everything sticked without any rafts, brim, glue or whatnot. It comes out just fine. 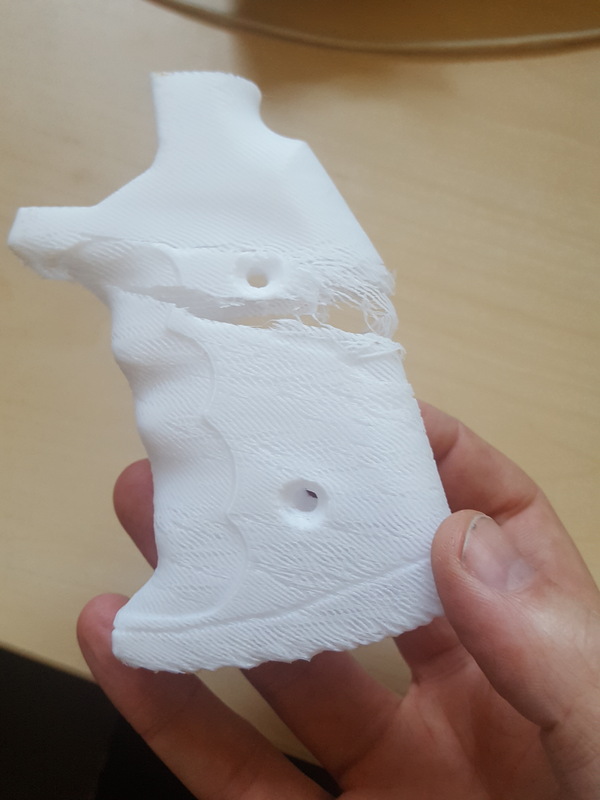 So I guess, in exporting gcode data is not transferred correct with V2.5.3 and fails the print completely. @Le7ha Checkout Downloads and Updates v2.5.4, we fixed the problem since we realized the wrong settings in v2.5.3. Standard setings for ABS is not so good. On tutorial for 3D print with use ABS Snapmaker show another setings then was set in software. Maybe good idea is correct them. In program STOP button does not turn off heaters (table and head). 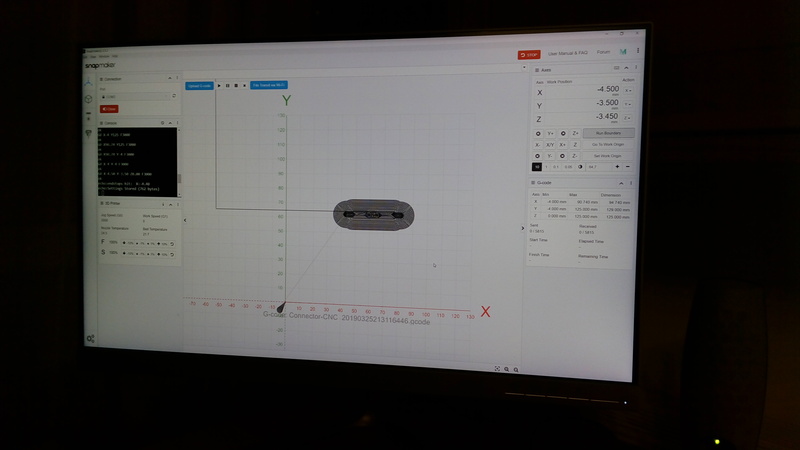 It would be nice to have a “snap flat” like in Cura. I tend to take small things and scale them up, and sometimes I end up not having flat bottom layers with Snapmaker or Cura. In Cura though, I can snap it to flat and then it’s fine but I don’t have that option in Snapmakerjs. Could you provide a link to the tutorial? it’s calculated by remaining time = time elapsed / (lines executed / total lines), not accurate. We have another calculation for remaining time but won’t have it merged before we run more tests. Yes. We’re adding functions to modify the bed and head temperature on the panel, which is missed in Snapmakerjs for a long time. @NilartPax Right Click after you select the model, “lay flat” is what you are looking for. Thanks! I’ll give it a shot. cura has developed quite a bit since last year when I was first setting up my Snapmaker as well. I’ve been enjoying messing with the more elaborate settings. I can confirm it’s working just fine again. However, somehow the context popup menu (if you right click) doesn’t pop up on each click anymore, especially when you have produced the gcode already. I couldn’t figure out a pattern yet. But it takes some wild clicks until the menu pops open. But: thanks a lot for your ongoing efforts and development. It is well noticed and helps a lot! I am using version 2.5.4 on windows 10 64bit. I lost all my custom settings when I updated to this version, both Material and print settings. Also custom material settings will not save, I have to set them every time I run snapmakerjs. A great feature would be multiple custom material settings like we can for print settings. Currently I print mainly with pla but if I try other materials it would be really handy to not have to enter custom settings every time (and way less error prone). The installation process has changed and if you want assistance then go to https://uaetechnician.ae/samsung-service-centre to resolve the problem regarding snapmakerjs.